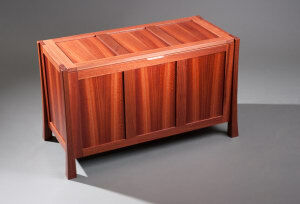 Straightforward design and construction are the hallmarks of this elegant chest. Story by Damion Fauser. 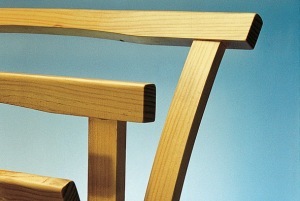 Keith Briggs makes an attractive free-standing hanging rail from a board of radiata pine. 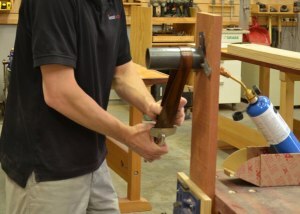 Practical advice from Terry Gordon on setting up your workbench for efficient workholding. How to save on at least one accessory while in search of the perfect home brew. 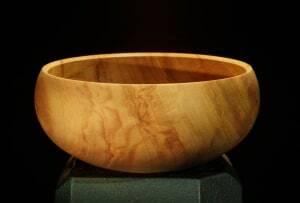 Story Kerryn Carter. 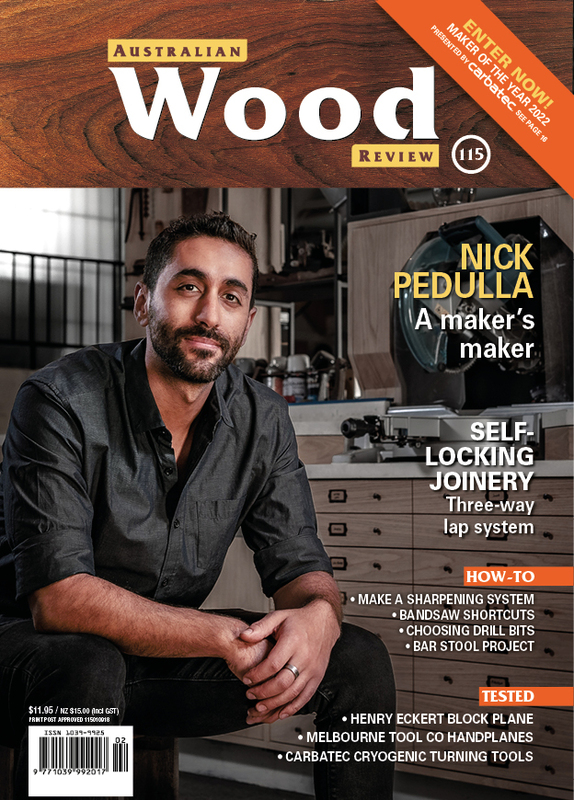 Thinking ahead will make your machining operations safer, writes Philip Ashley. 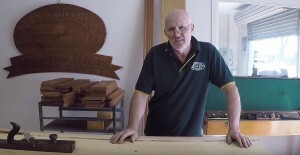 Wood Review author Darren Oates launches his how-to video channel. 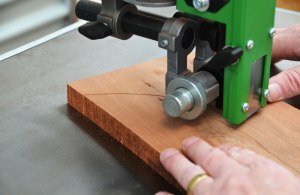 Terry Martin writes about the technique of achieving good line and form. 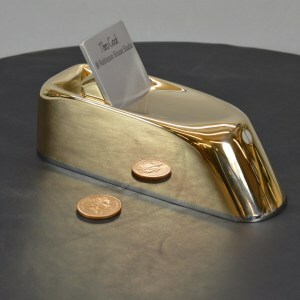 UK maker Theo Cook's video on making a bronze scraper plane. 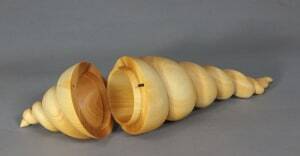 Inspired by nature, Neil Scobie turns and carves a spiral fluted box from Huon pine. 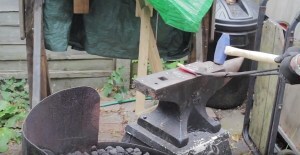 You might not be a blacksmith, but this video can show you the basics of that craft while you create a useful tool by recycling another. Two great tips from the winners of our Gerner hinge pack give-away. 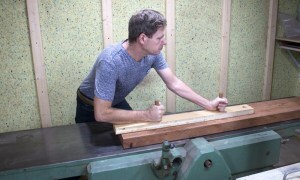 How to get your woodworking off the straight and narrow, as told by David Howlett. 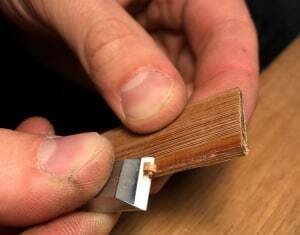 Fine furniture maker Darren Oates demonstrates the use of his long pushsticks and gives some tips on jointer usage. 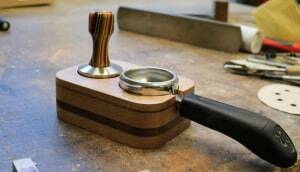 John Heisz makes an attractive and effective tool from an old sawblade and timber offcuts. 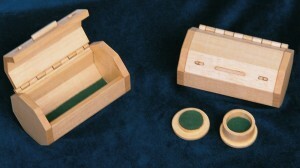 Richard Crosland makes two octagonal boxes with all-wood hinges and a sliding bolt mechanism.